Time to reveal yet another cool new feature of Dragon Age: Inquisition. Shortly after you bring together the Inquisition, you will gain access to your own castle, called Skyhold. 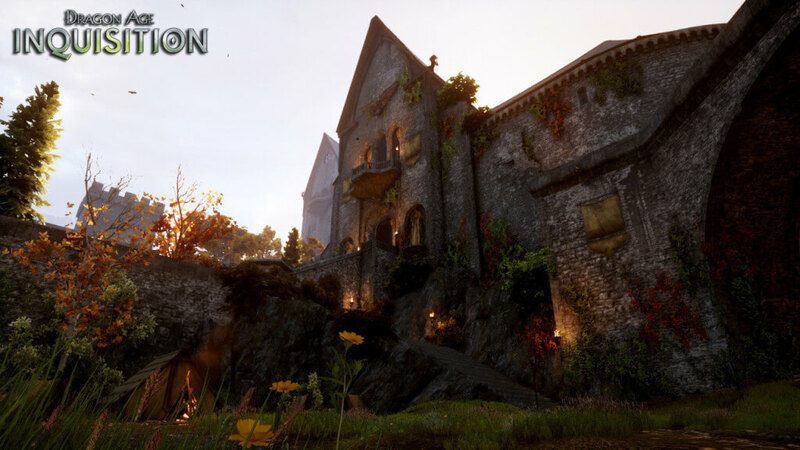 Skyhold will be the home of your Inquisitor and his companions. Although you will travel all over the game world, you will always be able to return to this castle as your seat of power. It will develop as you progress through the game. When you first create the Inquisition, Skyhold castle will be in poor condition and you won’t be able to access many of its rooms. But as you play through the game, the castle will be improved with renovations and more accessible areas. You will have the chance to customize the castle to fit your own unique style. For example, you will be able to choose different drapes, banners, windows, thrones, and so on. Similarly, you will be able to decide what parts of the castle to fix, and who they should accommodate. In the war room, you will be able to envision the Inquisition’s plans for Thedas. You can, for example, decide to send troops to a particular area in Thedas there to complete a mission. You can explore the entirety of the castle and talk with your companions, especially the three adviser companions who don’t travel with you. The castle will have a throne room, in which you can actually hold courts and make decisions about someone’s fate.